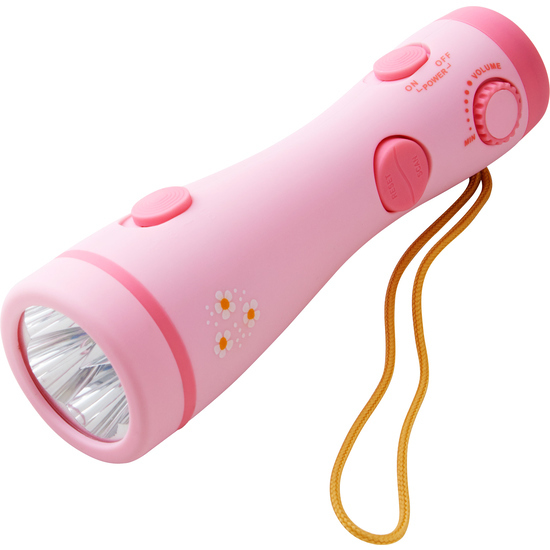 Children can explore with confidence in the dark as this flashlight emits a brightness adjustable light; it shines from three to five LEDs in two easy steps. At night in bed, the tree house or the tent, the integrated radio ensures lots of entertainment. Includes loop and plug for headphones.